Stripes are simple, elegant and timeless. In bold size they are able to make a graphic statement while remaining clean and uncluttered in appearance. A fresh take I've noticed around lately is the chevron stripe (also called herringbone). The interesting thing about this trend for me are the variations that have developed. 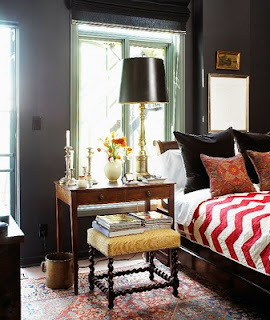 The look emerged in the past couple of years with other 1980's revivals, but the trend is evolving to include more sophisticated, classic looks like the red bed cover at left, and the grey and white variations below. This trend has been gaining momentum for the past couple of years, but it hasn't reached a saturation point and probably won't as quickly as something like the black and white brocade print trend. 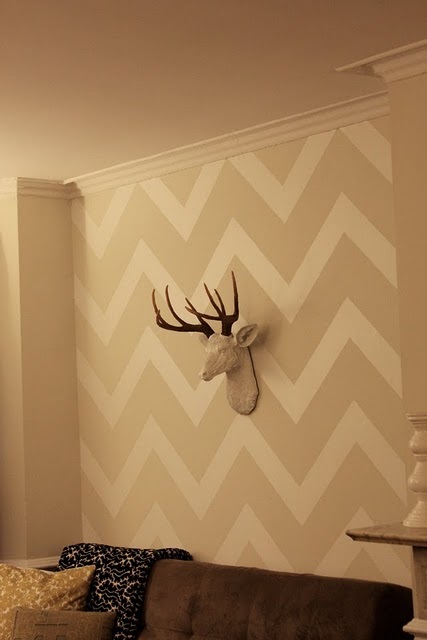 Chevron patterns have been around for hundreds of years and are used in masonry, textile design and parquetry. 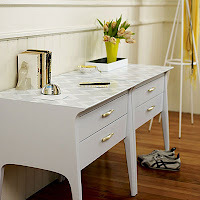 Because the design has existed for so long, depending on how it is used it can work in any decor style from classic to modern. The name "herringbone" comes from the fish, which are well known for having a dense bone structure. 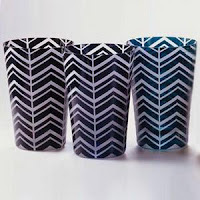 This picture has inspired me, I'd like to have some chevron print pillows for my sofa. 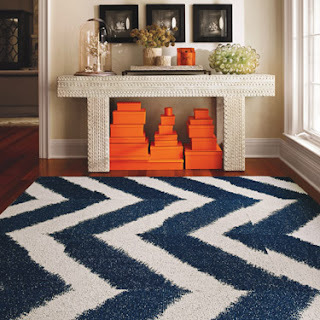 Which is orange - hence the inspiration coming from the stack of Hermes boxes beside the blue chevron rug. 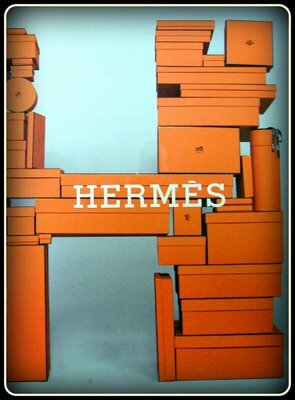 I'd also like a stack of orange Hermes boxes, but I think that will require marrying a rich European and then taking up horseback riding, so the chances of that happening are pretty slim. 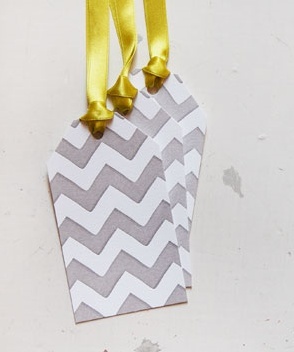 I also like that this is a DIY-friendly style. Here's a how-to guide to putting a chevron pattern your walls - even better, it's temporary and can be taken down later!